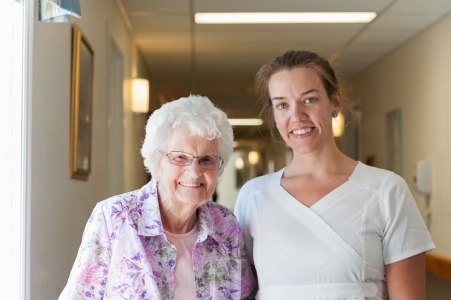 Whisperwood Villa is a dual facility with Community Care and Nursing Care. We have a wonderful house doctor who visits once a week. Our nursing staff is in contact with the doctor if any health concerns arise. You are welcome to keep your doctor but you may have to go out to their office for appointments. Community Care offers assistance with care, medicine administration, 24 hr supervision and a variety of accommodation options (see chart for more details). Nursing Care consist of private and semi-private rooms with 24 hour Nursing. 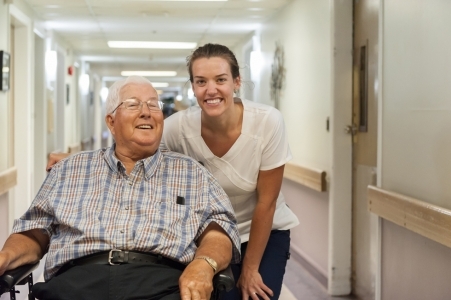 Each day, residents receive on average 3 – 3.5 hours of nursing and personal care. 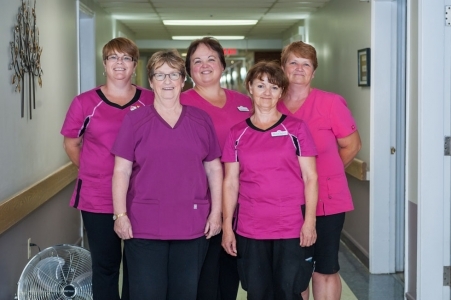 Access to Nursing Care is organized through Health PEI. It is based on a coordinated assessment and a priority needs process conducted by committees in each region made up of representatives from hospitals and Home Care, Housing and Long-term Care programs. Foot care is available. Appointments can be made through the Bath Caregiver.